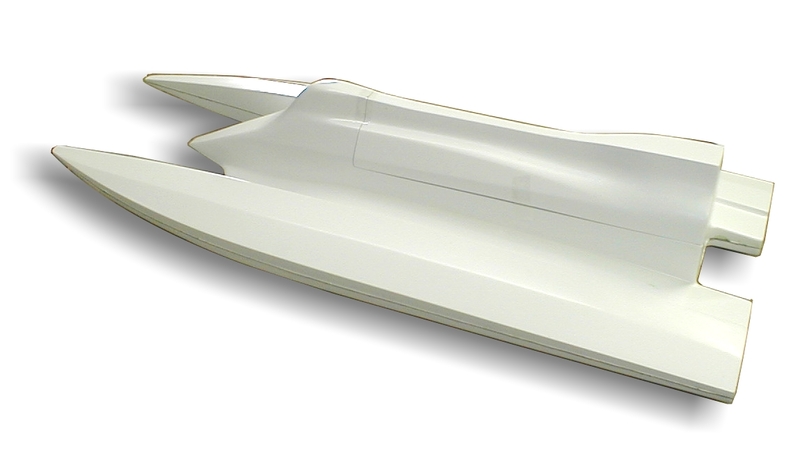 32" Tunnel Hull designed for 7.5cc Outboard motors. White primed in the mold, hand layed epoxy/glass construction. Plywood transom plate and turn fin plate factory installed. Radio Box not included. Optional kit # 8104.